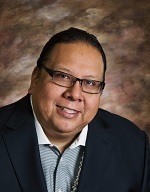 Stephen Roe Lewis is the Governor of the Gila River Indian Community. Governor Lewis was raised in Sacaton, “Gu-u-Ki”, on the Gila River Indian Community. His parents were the late Rodney Lewis and Willardene Lewis. His paternal grandparents are the late Rev. Roe Blaine and Sally Lewis. His maternal grandparents are the late Willard and Catherine Pratt. Mr. Lewis has a son, Daniel Roe Lewis. 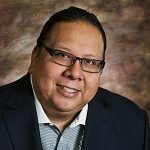 Governor Lewis is proud to have attended school from kindergarten to 8th grade on the Gila River Indian Community. Governor Lewis graduated from Arizona State University with a Bachelor of Science and pursued graduate studies at John F. Kennedy School of Government at Harvard University.